On January 31, 2019 Theodore Ted Chapman, age 86, passed away peacefully after an eight year battle with dementia, with 3 of his daughters by his side in Napa. He was born November 14, 1932 in upstate New York. Married in 1950 to Joyce E. Anderson, and moved to Napa California in 1964. He was self-employed until his retirement, moving to Wingo, Kentucky in 1996 to be near his family who had relocated there a few years prior. He enjoyed golfing, family barbecues and volunteering his time. Ted was a friend to so many. He was loved for his giving heart and big sense of humor. 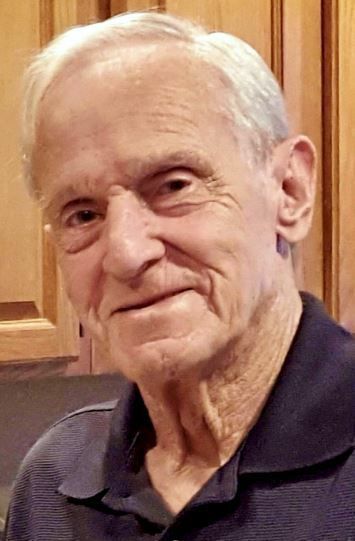 He was preceded in death by his wife Joyce in 2007, his sweet dog Maggie, his parents and two brothers as well as his daughter in law Cheryl Chapman just one month ago. Also, on that same evening of his passing, his beloved son and best friend, Randall “Randy” Chapman of Mayfield, KY passed away too. They both had the same sense of humor and we think Jesus knew he needed help with Ted, so he called Randy home as back-up as he was so much of a fire cracker! Ted is survived by his daughter, Linda King (Thomas), Pamela Ellison (Rick), Darcy Staring (Gary), Lisa Johanson (Kevin), Jonathan Chapman (Yolanda) and his brother Charles Chapman and sister Barbara. He was blessed with 18 grandkids and 20 great grandkids. Family was everything to Ted. He will be dearly missed but we know he and Randy are at peace as they were reunited with their brides and in the presence of so many loved ones.